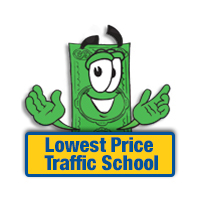 If you are in the process of earning your driving privileges, we can help at Lowest Price Traffic School. Our Florida DMV "Requirements Only" learner's permit package contains only what you need to earn your learner's permit, and nothing more, allowing you to focus on the essentials (and save money in the process). With this course, you can satisfy the TSLAE requirement and complete the DMV written test, entirely from home. We encourage you to register now! With our online Traffic Law and Substance Abuse Education course, you can satisfy the state's drug and alcohol education requirements (which are required for all new drivers in the State of Florida, regardless of age). There are no in-person classes and you can complete the program at your own pace, on your own time, from the comfort of home. With our online DMV permit test, you can satisfy the state's learner's permit requirements without ever stepping foot in the DMV. Once you pass the test, your learner's permit will be issued to you. Perhaps best of all, because this test is being offered entirely online, you don't have to get an appointment or stand in line for hours at the DMV waiting to take the test! For your convenience, our resources are available entirely online. With our Florida DMV learner's permit package, you can satisfy all of the state's education requirements on your own time, from anywhere you enjoy Internet access. You can bypass standing and waiting in line to take the exam! Why bother attending classes when you can just go to the coffee shop instead? When you complete your course, we will provide you with an official Certificate of Completion at no cost. If for any reason you need expedited delivery on your certificate, you can choose this option during the checkout process for a small fee. We guarantee that you will not find lower prices on these options anywhere else. 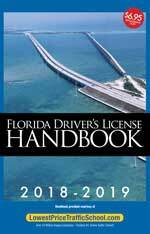 In fact, if you purchase our Florida DMV learner's permit package, which includes only what you need to earn your driving privileges and nothing more, you'll save $21.95 over the standard price - a saving of nearly 30 percent! If for any reason you are unable to complete our course, or find it not to your satisfaction, we will happily refund your money, no questions asked. We guarantee that our online Florida DMV learner's permit package will help you earn your driving privileges quickly and easily, and are confident that you will find it to be a tremendous alternative to more traditional methods. Enroll today and see for yourself!